If you still have any queries after reading the below outline of our ordering and delivery processes please do not hesitate to contact us. > What types of shipping do you offer in the New Zealand, and what are your rates? > How quickly will my order ship? > Do you ship outside New Zealand? > Do you ship to P.O Boxes? > What is your Returns Policy? > How do I return or exchange items from my order? > What are your accepted payment methods? > Is ordering on your site secure? > Do you collect goods and services tax? > Can I send my order as a gift? > Do you offer gift wrapping? > Can I ship one order to multiple locations? > What are your Customer Service hours of operation? > Can I purchase your products in a store? > Can your products be personalized? > Is there an expiration date on tea? We dispatch orders to cities or towns in New Zealand using a tracked courier system (PBT couriers). Under normal weather and road conditions your order will reach you within 3 working days from the date of dispatch. In the event you are not home when the courier calls they will not leave your order without prior authorisation. If you wish the order to be left on your property please note those instructions in the comments box on the checkout page. We dispatch orders to rural delivery addresses in New Zealand using tracked PBT couriers and NZ Post. Your order will reach you within 5-7 working days from the date of dispatch. If you are in Queenstown it may be possible to arrange to collect your order directly from us. Just purchase online as normal and select the freight option of Queenstown collect $0 (please note we used to offer a complimentary drop off service for Queenstown addresses but I am afraid increased traffic volumes around the area mean we no longer do this). We offer a complimentary freight option which means you can collect your order from the Remarkables Market between 9.00am and 2.00 pm on a Saturday. The market runs from Labour weekend to end of summer and we are there most Saturdays. Just process and pay for your order online, nominate the Remarkables Market pickup option and we will have this ready for you. What are our New Zealand shipping rates? The standard shipping and handling charges for retail orders in New Zealand is $7.50 per order for city and $10.00 per order for rural addresses. On some occasions due to the weight and size of your order or special delivery requirements the delivery cost may vary however you will be notified of any change prior to dispatch. It is our goal to ship orders within 3 days of receipt of order. In the event of unforseen circumstances meaning your order will not meet this time-frame you will be advised. During peak periods such as before Christmas or Mother's Day, please allow extra days for your order to ship. Our warehouse is situated in Central Otago. Customers can order from overseas and we are able to ship to most destinations outside of New Zealand. For Australia and the USA we have set estimated standard freight charges on the website to enable you to complete your order. For all other international shipping there is no standard charge, freight will be quoted on each individual order. I am sorry we do not ship our glass teapots or tea tins overseas. For destinations outside of Australia and the USA please email us with your enquiry via the contact page and we can estimate the shipping cost for you. Please note we have based our international shipping costs on an international air service with anticipated transit times as follows: Australia 5 working days, USA 10 working days. This service is not tracked. The cost for an alternative tracked service adds a significant cost to the freight charge (around $20 - $40 depending on the destination). If you wish to have this quoted separately please contact us and we can supply this to you. The NZ GST component will be removed from overseas orders when an order is received from a customer living outside of the country and the order is being delivered overseas. It will not be removed from the order if the customer resides in New Zealand and simply wishes us to post their package overseas. We prefer to ship to a physical address so that we can track the order. If you would prefer your order goes to a P O Box we can do this however the order will not be tracked and there may be additional delivery charges depending on the size of the package. 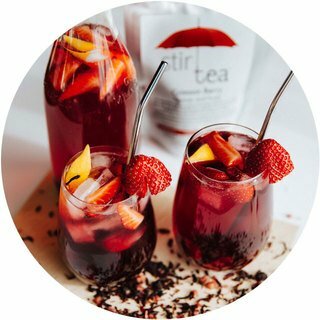 Tea Global Ltd sells product of the highest quality and we do everything we can to ensure it arrives to you in premium condition. Should any item you purchase prove faulty or damaged we will replace or refund the item up to 20 days from the day the item was dispatched to you. If you have an item that you wish to return, please contact us at 03 442 9033. We accept credit card payments by Visa & MasterCard. NZ residents can also make a direct bank transfer (Account2Account) for NZ residents. Just place items in your shopping cart, proceed to checkout and complete checkout and choose the pay by Account2Account option which is a real time transfer from your bank account. All transactions are in N.Z Dollars. Do you collect goods and services sales tax? Tea Global Ltd is required to collect New Zealand goods and services sales tax (GST). This tax is currently 15.00% and is included in the retail sales price listed beside the product. 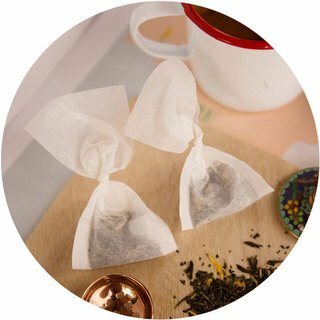 Many of our customers give tea or accessories as a gift. Simply nominate a different shipping address as part of the ordering process and we can send it there directly. If you wish to have a message attached and your order gift wrapped then select the $5 gift wrap option displayed throughout the website. We are able to offer a beautiful gift wrap at a cost of $5 per item. Simply add this item to your cart. You are able to enter your gift message when selecting this item. Here is an example of the style of our gift wrap. Can I ship one order to multiple locations? Sorry, not at this time. You will have to place a different order for each shipping location. Can I purchase products from your range in a store? 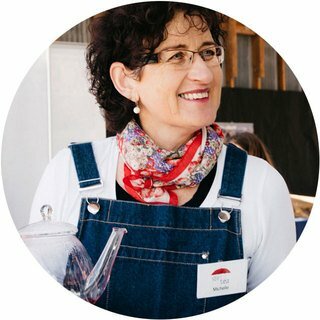 We have relationships with a number of fantastic retail outlets throughout NZ chosen for their passion for tea. For store locations in New Zealand please contact us or see our page How to Buy. Our full range is only available online. 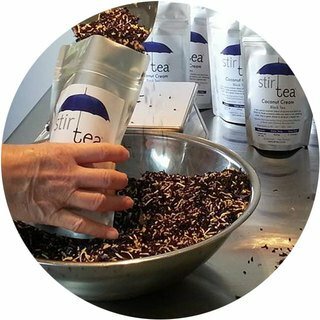 Can Stir Tea products be personalized? Sorry, no. We do not currently personalize our products. Tea does not have an expiration date, but after about a year it can start to lose freshness. 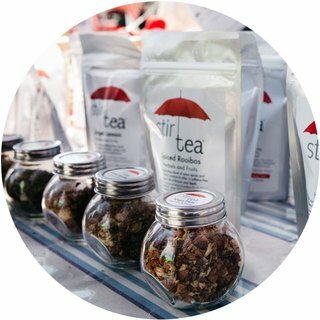 At Tea Global Ltd all of our products are labelled with a "best by" date to ensure that you experience the best we have to offer.